Cuphead might have a cup for a head - which means he probably doesn’t have ears, OK - but he can still appreciate the funk of a good jazz soundtrack. Backing the chaos in Cuphead is an original soundtrack that features almost three hours of jazz, early big band, and ragtime music. Composed by Kristofer Maddigan, every song in the game is played by live musicians, including a solo pianist, a vocalist, a tap dancer, a 13-piece big band, and more. Kris Maddigan is a composer and percussionist from Toronto. He is also a member of the National Ballet of Canada Orchestra, and he was tasked with making a soundtrack for Cuphead that captured the depression-era, 1930s vibe the developers were attempting to bottle up to back Cuphead’s action. 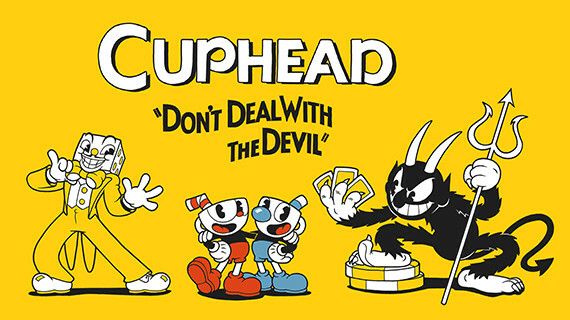 Maddigan had never written music for a videogame before he worked on Cuphead, but he had studied jazz for a long time. Once he got the job writing the score for Cuphead, he also did a lot of score study to make sure he could do the game justice, to make sure the music evolved as you play, and to ensure it matched up with the madness of what happens on-screen. Duke Ellington scores were a major inspiration for Maddigan, helping him parse how scores of this scale were laid out. You can hear strains of Ellington’s concert jazz in the finished work. For the ragtime music, Scott Joplin was a big inspiration, using a 13-piece band with Maddigan himself on the drums, the xylophone, and the vibraphone to bring the music to life. The finished result is a jumble of influences that captures the unrestrained experimentation of the era.